Located on Oahu’s windward (eastern) side at the foot of the impressive Ko’olau Range of mountains, sits a beautiful and peaceful cemetery set upon the rolling hills of this valley floor. 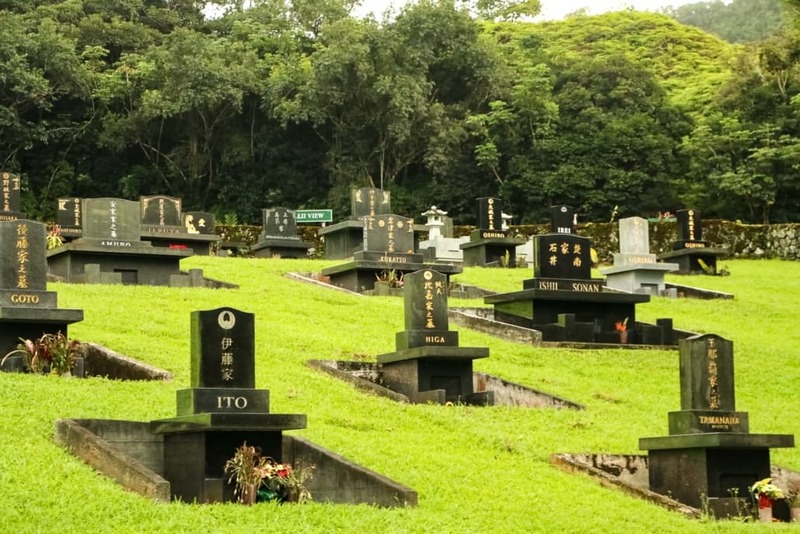 It’s evident as you drive through the cemetery that sections are designated for different denominations such as Buddhist, Shinto, Protestant and Catholic faiths. Since 1963 thousands of residents have been buried here, and it’s understandable why so many wish to call this their final resting place. 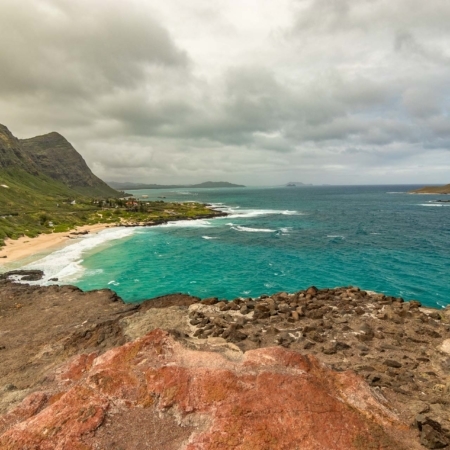 It’s one of the most scenic and peaceful spots on Oahu! 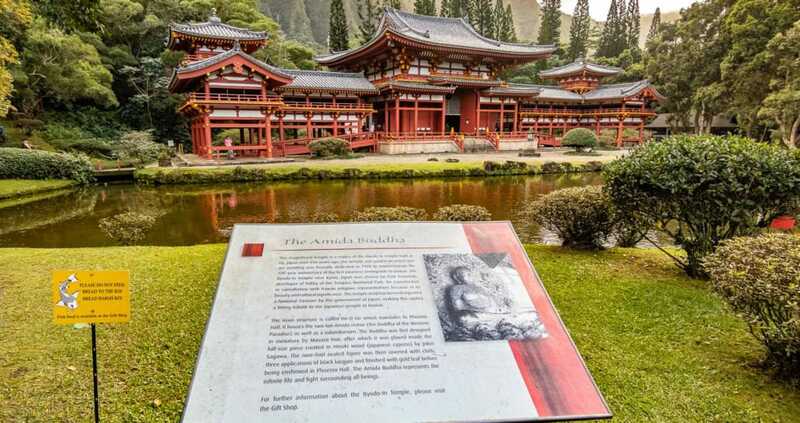 Oahu’s Byodo-In Temple was built to commemorate the 100th anniversary of the first Japanese immigrants to arrive in Hawai’i in 1868. 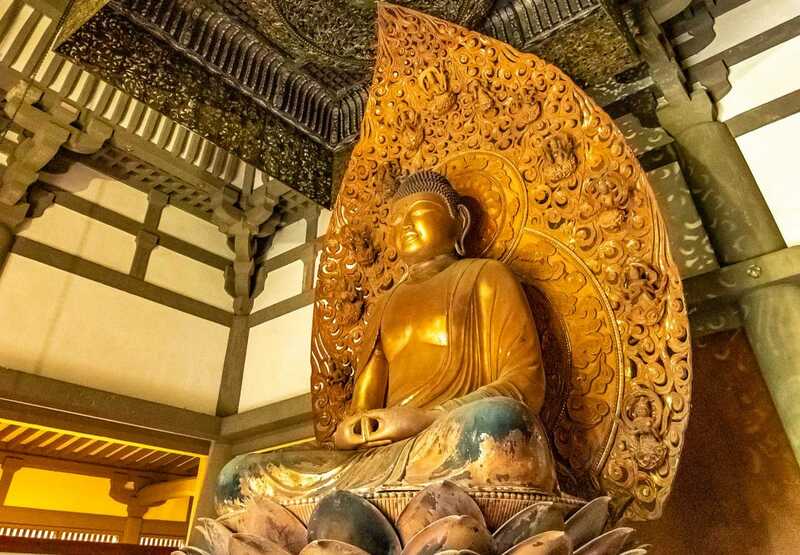 The original temple in Japan is over 950 years old and was built out of wood without the use of nails. However, this temple is constructed mostly out of concrete. 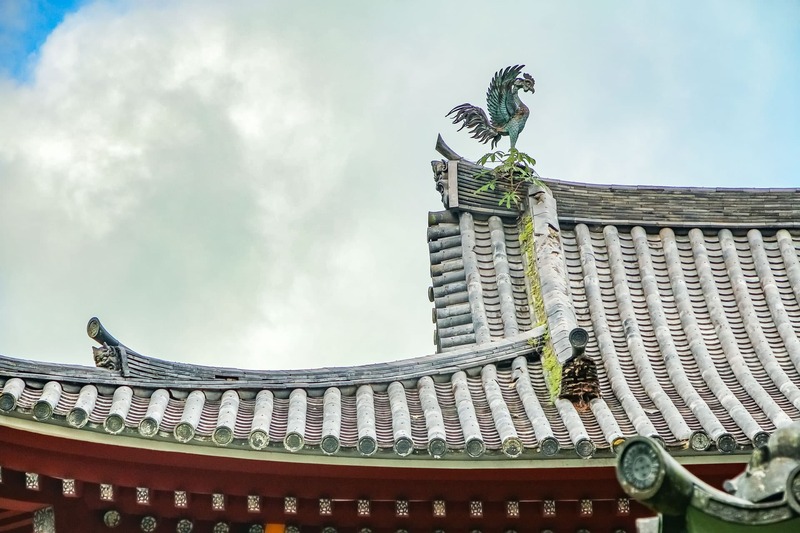 The temple is also known as Phoenix Hall in Japan, due to either the shape of the building which resembles the outstretched wings of a bird or from the Phoenix that sits atop the roof. Walking around to the back of the temple and you’ll realize the building is configured in the shape of a T with the surrounding pond flowing underneath the back of the temple. Constructed in 3 years the temple was dedicated in June of 1968 with a traditional Buddhist ceremony. 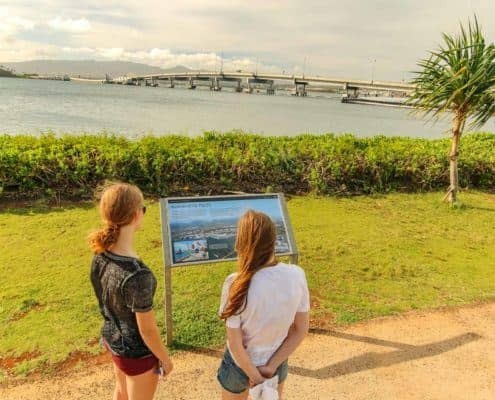 Since that time, it has become one of the top ten visitor attractions on Oahu. Today the temple sees more than 300,000 visitors annually. 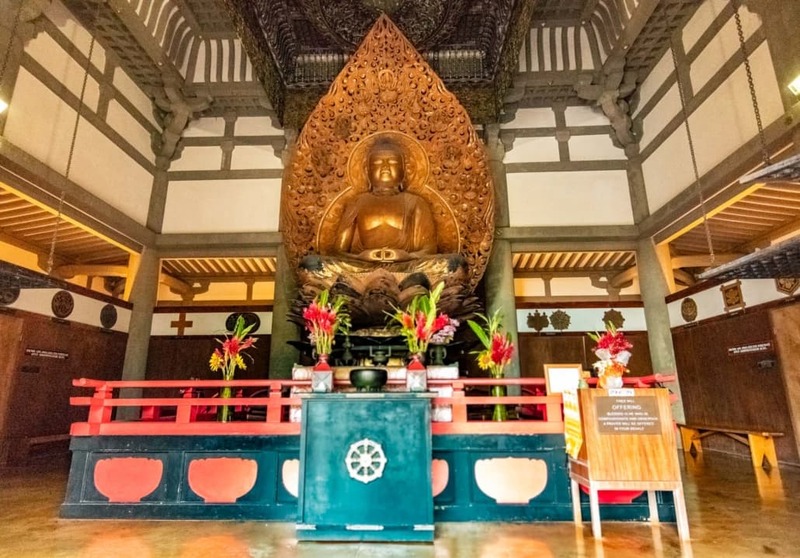 Inside the temple is housed a Lotus Buddha with brass artwork adorning the ceiling. As impressive as the structure and Buddha are there is much beauty to the experiences in the surrounding gardens and pond too. 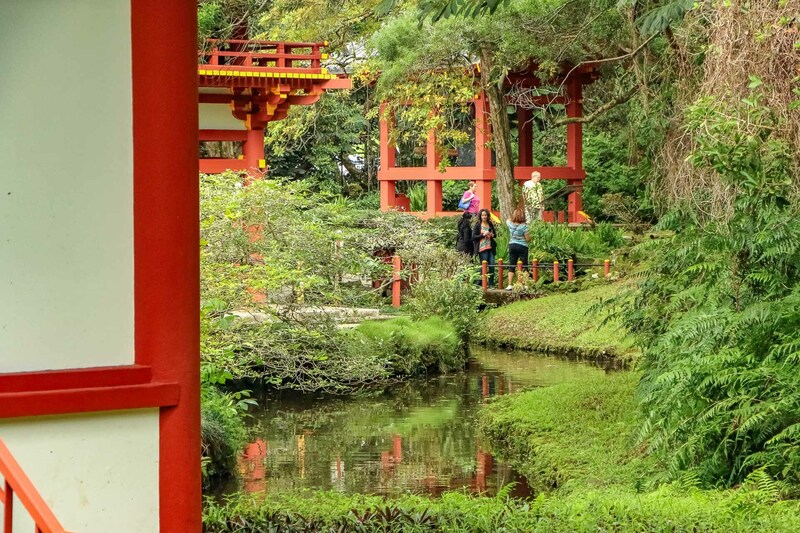 The Byodo-In Temple grounds are a beautiful and peaceful part of this magnificent structure. 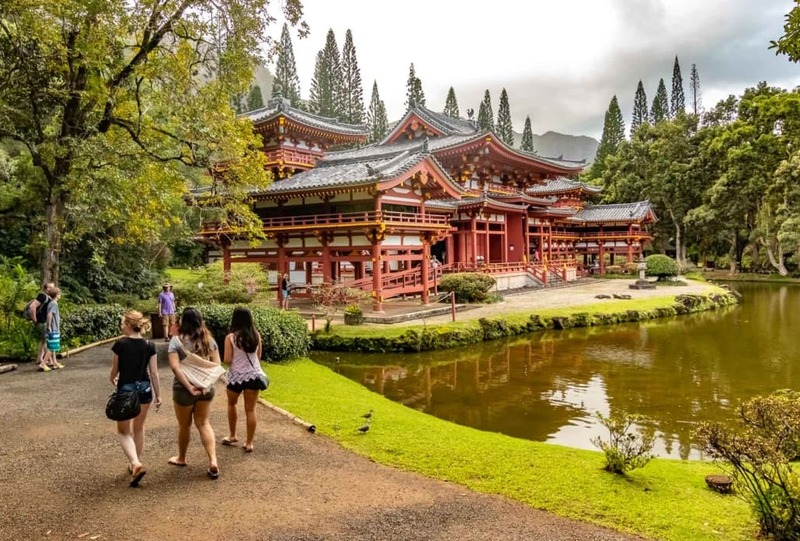 A large 2 acre reflecting pond encircles the temple and adds an elegant accent to the lush landscaping and towering cliffs of the Ko’olau mountains of which the property is nestled in front. Peacocks, swans, and doves wander about the grounds and pond that is filled with thousands of colorful Koi carp, a highly respected symbol of Japan’s national identity believed to invoke luck, good fortune and prosperity. Small waterfalls, gardens and meditation niches surround the temple where various statues and sculptures can be discovered. Several mausoleums overlook the temple that goes along the entrance road to the parking lot. For a time former Philippine President Ferdinand Marcos was interred here. 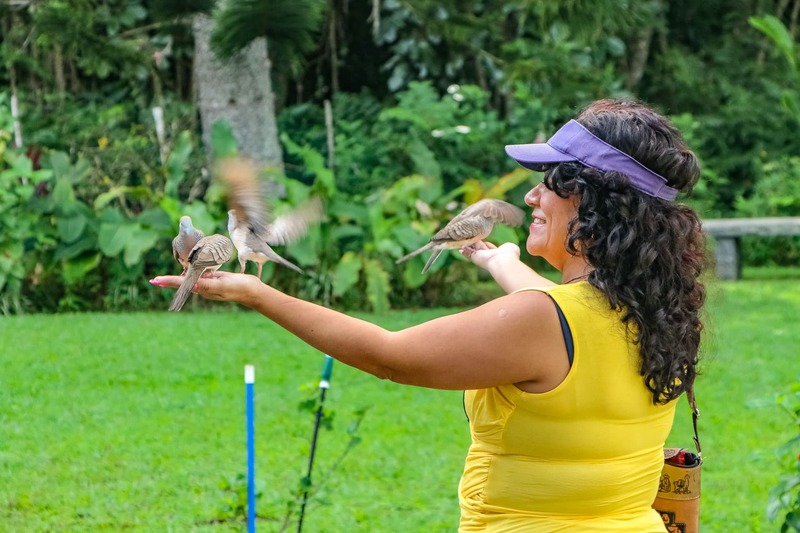 The grounds are a popular wedding venue and also contain a small gift shop on the property. The temple has also been the backdrop for several TV shows and movies. The first was in 1969 in a season 2 episode of Hawaii Five-O. It was used in a 1981 episode of Magnum P.I. And in an episode of SeaQuest DSV, a SiFi that ran between 1993 and 1996. 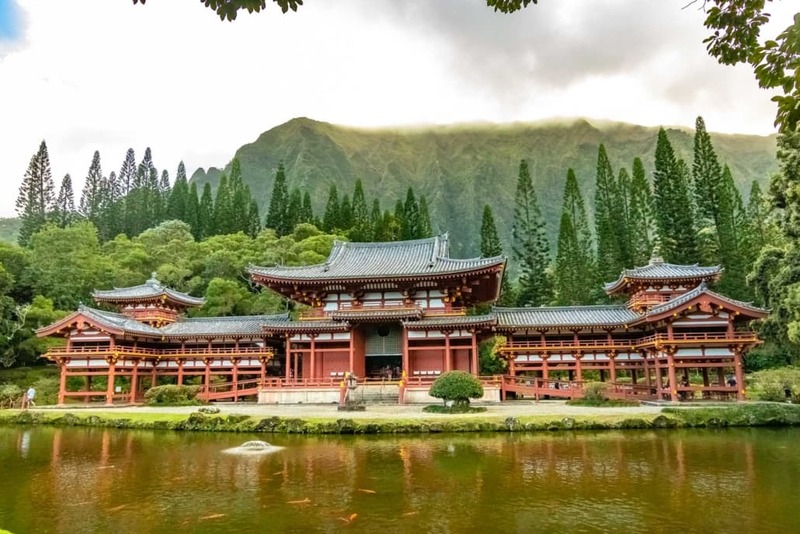 The temple was featured in the 2001 movie Pearl Harbor as a stand-in for the actual Byodo-In Temple in Japan as well as several other films. More recently it was used in several episodes of the TV series Lost as a stand-in for South Korea. The show ran from 2005 to 2010. 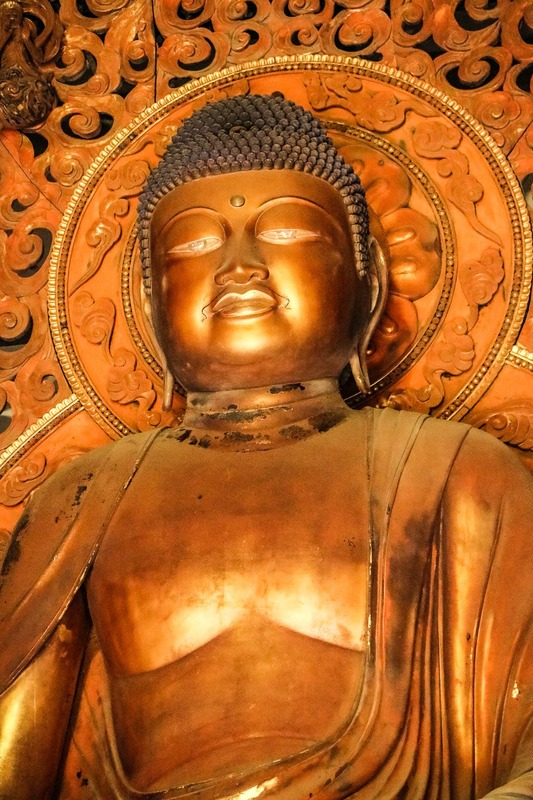 There are several distinct features of this Buddhist temple. A 3 ton “Peace Bell” is housed in its own small building at the entrance of the property and invites visitors to give it a ring. The deep tone of the bell is said to send a message of deep calm and peace to the mind, cleansing it of evil and temptation. The Bell House, called Kanetru-ki-do, houses the five ft high bell called Bon-sho (sacred bell) was cast in Osaka Japan by permission of the government of Japan. It closely resembles the bell in the identical Bell House at the 950 yr old Byodo-In Temple in Uji Japan. 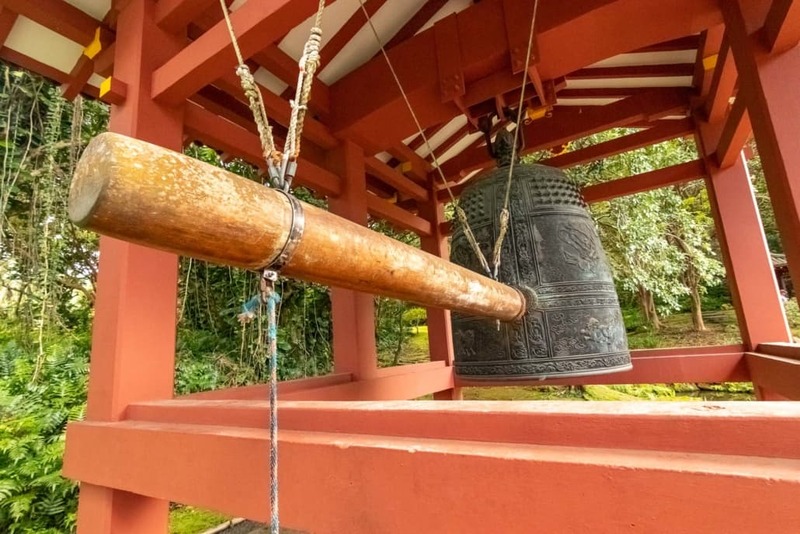 The bell is customarily rung before entering the temple by swinging a suspended soft wooden log (called the shu–moku). Ringing the bell is said to create an atmosphere of tranquility bringing happiness, blessings and long life. Pure Land Buddhism is built on the belief that we will never have a world which is not corrupt, so we must strive for re-birth in another plane of existence known as the “Pure Land.” Though this is not a practicing Buddhist Temple, it is respectful to remove one’s shoes upon entering, and visitors can light incense in the provided urn in front of the Buddha. This temple is a respectful tribute to the long history of Japanese people immigrating to Hawai’i. Today their ancestors are have become the second largest ethnic group in the Hawaiian Islands. There is an ancient Hawaiian legend about a Japanese shipwreck off the coast of Maui believed to be sometime in the 16th century. 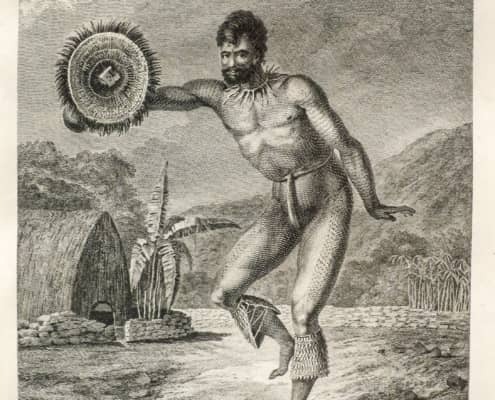 The Legend of the Long Knife, recounted in King Kalakaua’s 1883 book “Myths and Legends of Hawai’i“, is believed by scholars to have been about a samurai sword. The first known arrival of Japanese in Hawai’i involved a small Japanese cargo ship with eight passengers aboard. They became caught in a winter storm which damaged their sails and set them adrift towards the east for more than 70 days. They were rescued by an American ship captain, Cornelius Sole, who brought them to Hawaii where they were left in the care of King Kamehameha I. Kamehameha had a house built for them while large crowds came to see these men of a different ethnicity. Three months later they returned to southeast Asia aboard a Chinese ship. Unfortunately, they fell ill on the journey and only two of them eventually made it home. Dutch American Eugene Miller Van Reed traveled to Japan as a representative of the Hawaiian Kingdom in 1866. He eventually recruited 142 men and 6 women to work on sugar plantations. They would arrive in Honolulu in 1868. Several of these first immigrants would become legendary among Japanese Americans in Hawaii including Sentaro Ishii, a Samurai from Yokohama who lived and worked on Maui to the age of 102 and Taro Ando who would become Japan’s first Consul General to the Kingdom of Hawai’i in 1885. The 150th anniversary of their arrival was celebrated in 2018. 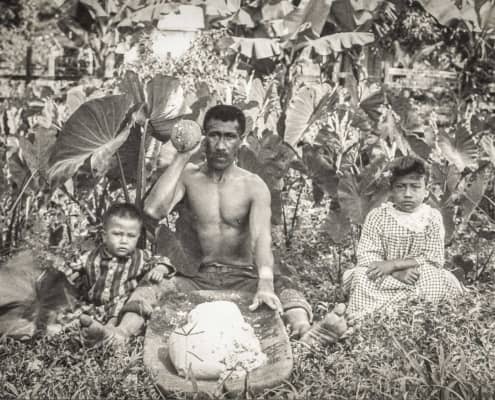 The Japanese government would bar emigration to Hawaii in 1869 as they believed the label of laborers would be degrading to the Japanese race. However, Hawaii’s King Kalakaua visited Japan in 1881 and upon his request to Japan’s Emperor for help with Hawaii’s labor shortage the ban was lifted in 1885. 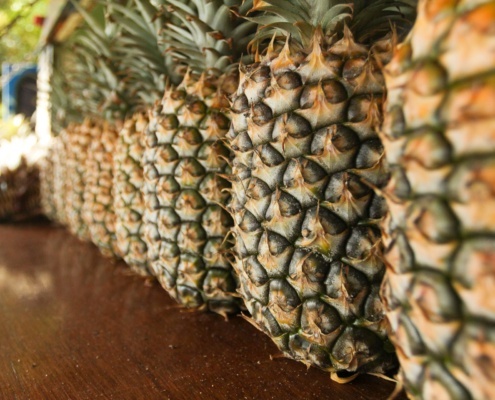 Soon Japanese immigrants would begin arriving to work in the sugarcane and pineapple fields. In 1887 missionary descendents within the Kingdom of Hawaii’s government seeking to shift power away from the Hawaiian monarchy forced King David Kalakaua to sign a new constitution, known as the Bayonet Constitution, giving power to the parliament they controlled. The Hawaiian Monarchy became a mere figurehead and voting rights were suppressed by the new constitution which included denial of voting rights to Japanese and other Asians. After Kalakaua’s death the Hawaiian Monarchy was overthrown in 1893. 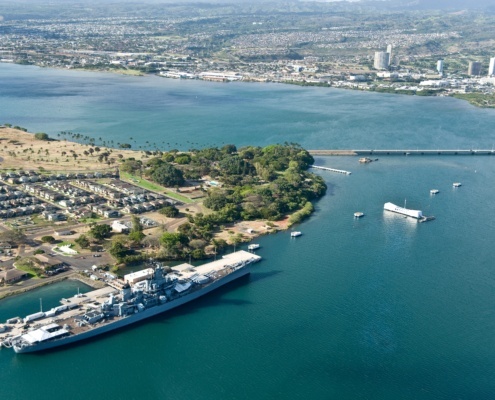 Tokyo sent two warships to Honolulu in protest of the overthrow. The Japanese commissioner to the Kingdom worked to restore rights for Hawaii’s Japanese population and sent away the warships fearful that the protest would undo his work. Because of the protest anti-Japanese sentiment grew in Hawaii until the United States annexation of the Kingdom. After US annexation all children born in Hawaii became American citizens at birth. Japanese parents registered their children which often gave them dual US and Japanese citizenship. These settlers set up the first Japanese schools in the United States. By 1920 they were the second largest ethnic group in Hawaii and constituted 43% of the population. Nearly 100% of all Japanese children in Hawaii at this time attended Japanese schools. In 1934 statistics showed that the Japanese schools numbered 183 with over 41,000 students. 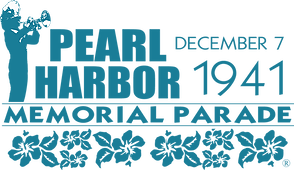 After the Japanese attack on Pearl Harbor the US government realized Japanese spies in Hawaii had aided in the planning of the attacks. This spurned the internment of some 120,000 Japanese Americans from throughout the west coast and Hawaii. 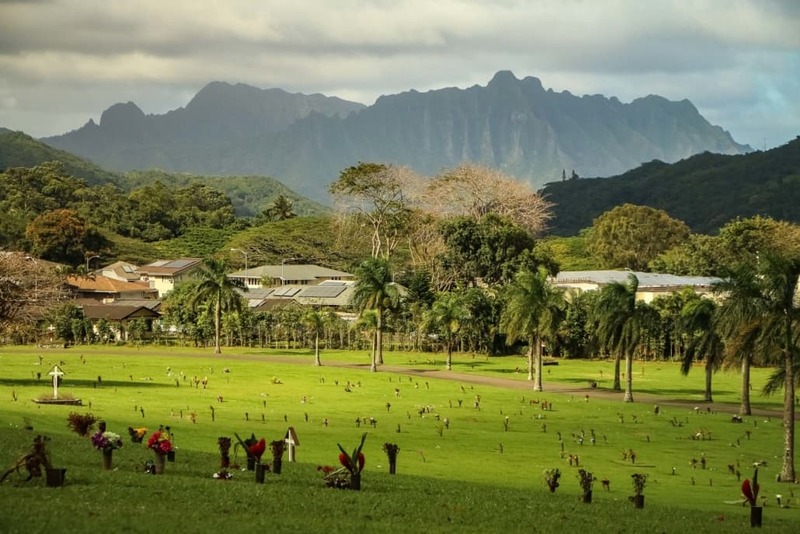 A total of 17 camps were built in Hawaii with Honouliuli Internment Camp near Waipahu Oahu becoming the largest and was designed to hold 3000 people. Eventually, most of Hawaii’s Japanese Americans would be transferred to mainland camps as Honoluilui became a POW camp holding more than 4000 Okinawans, Italians, German Americans, Koreans and Taiwanese. 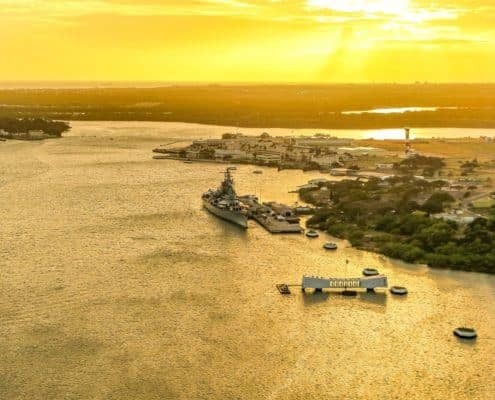 The site was designated a National Monument in 2015 by President Barack Obama. As a result of the long history of Japanese communities in Hawaii, culture plays an active and energetic role in today’s Hawaiian lifestyle. People of Japanese or Okinawan descent make up around 17% of Hawaii’s population, and the Japanese language is spoken and studied across the state. After the war returning Japanese Americans contributed to the growth of Hawaii into statehood. Japanese cultural entertainment such as Taiko drum groups and festivals such as Oban are celebrated throughout the islands at numerous Shinto and Buddhist temples. Japanese descendants (known as Nikkei) would also contribute significantly to Hawai’i in the fields of business, labor relations and politics. Hawaii’s U.S. Senators Spark Masayuki Matsunaga (1977 to 1990), Daniel K. Inouye (1963 to 2012), Governor George Ariyoshi (1974 to 1986) and Mazie Hirono (2013 to present) have had very distinguished careers. Ariyoshi was a Military Intelligence Service interpreter during WW2, and Senators Matsunaga and Inouye were wounded in Europe serving in the most decorated unit of WW2; the 442nd Infantry Regiment made up of Japanese Americans. Daniel Inouye lost an arm in combat and was awarded America’s highest military decoration, the Congressional Medal of Honor. 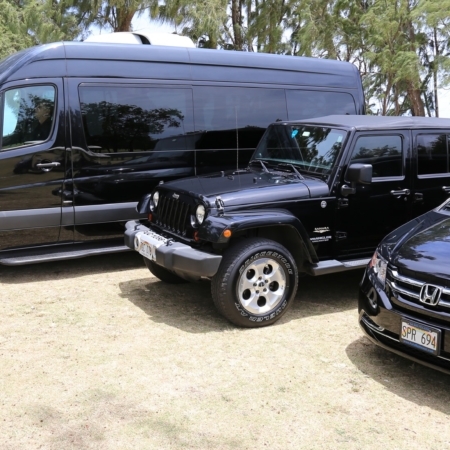 Over 1 million Japanese tourists visit Hawaii each year. 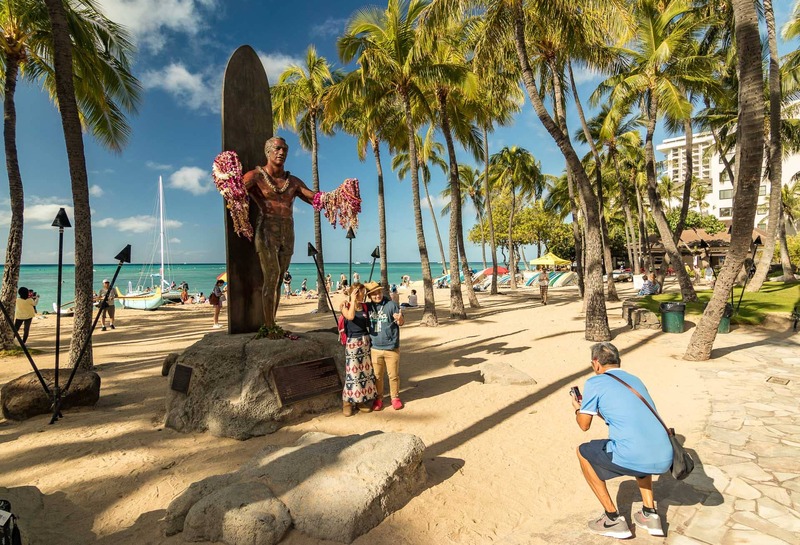 They enjoy visiting all the islands, but the majority can be seen in Honolulu and Waikiki Beach. 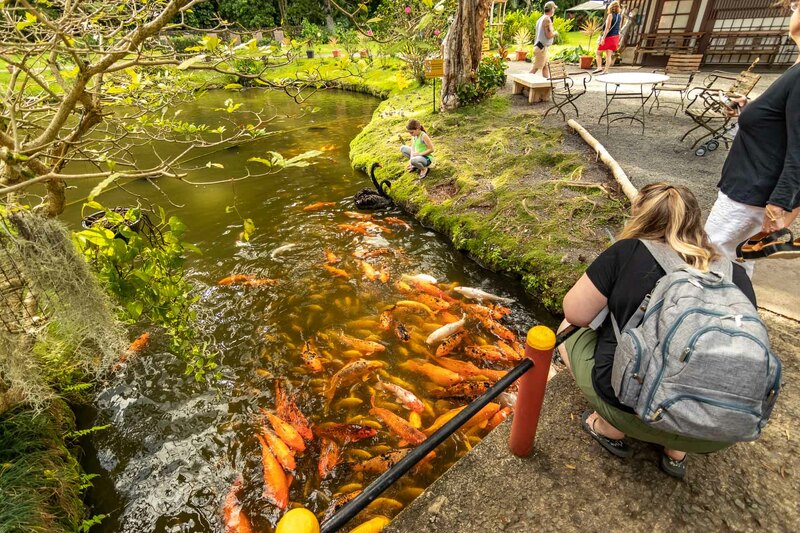 The Dole Plantation, the Polynesian Cultural Center and Pearl Harbor are also popular with visiting Japanese tourists. The Temple Grounds are open 8:30 am – 5:00 pm daily. Last entrance to Temple grounds is 4:45 pm. The Gift Shop is open 8:30 am – 5:00 pm daily. 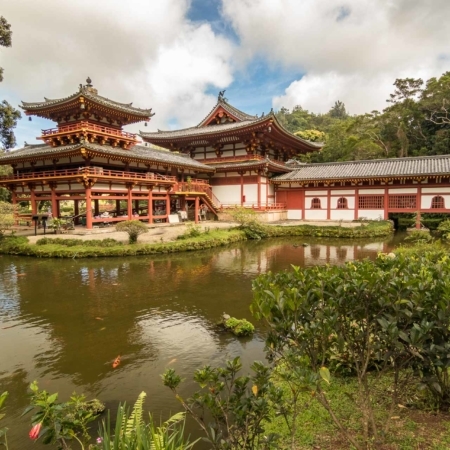 Admission to the Byodo-In Temple grounds is General Admission $5.00 (ages 13-64), $4.00 Seniors (age 65 & up), $2.00 Children (2-12 years). 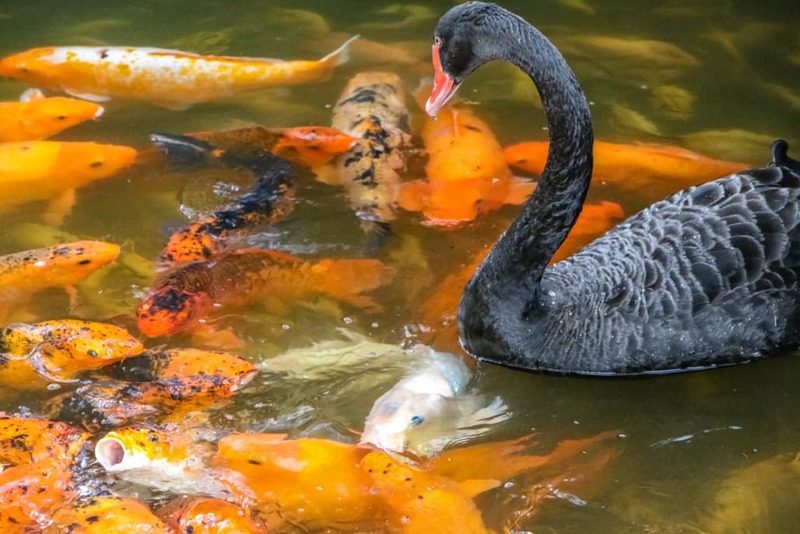 One of the most popular yearly events at the Byodo-In Temple is Oban, a Japanese festival similar to America’s Thanksgiving. During Obon, Japanese families reunite to celebrate their heritage with ancestors and loved ones who have passed away. The Obon Festival is held in August, and the Byodo-In Temple Obon event is one of the biggest on Oahu. It is open to the public and includes Japanese dancers, a traditional tea ceremony, a spiritual blessing, and a floating lantern ceremony. In 2018 the 50th Anniversary Celebration for the construction of the Temple (and 150th Anniversary of the Japanese arriving in Hawai’i) took place in June. Hundreds of people enjoy the free public event with traditional Japanese dancing and taiko drum groups.